Cellecta announces the DECIPHER Project--an open source platform for genome-wide RNAi screening and analysis that provides free-of-charge access to shRNA libraries and software for genome-wide functional screening for researchers from academic and non-profit institutions. We initiated the DECIPHER Project with the intent to create interest and make RNAi screening using pooled lentiviral shRNA libraries available for any researcher on a limited budget. Cellecta, Inc., a provider of screening services for gene function analysis and therapeutic drug target discovery, announced the launch of the DECIPHER Project--an open source platform for genome-wide RNAi screening which offers reagents for running genetic knockdown screens, software tools for data analysis, and an open database of genetic knockdown screening results. Funded, in part, by several NIH grants, some jointly undertaken with collaborators at the Fred Hutchinson Cancer Research Center, the Roswell Park Cancer Institute, and The Scripps Research Institute, the DECIPHER Project objective is to provide free reagents and software tools for researchers to perform and analyze comprehensive shRNA knockdown screens and to develop a standardized yet versatile platform for collecting and comparing results from different studies and labs. "We want to enable any basic researcher investigating disease progression, looking at cell signaling pathways, or identifying the genes involved in a range of biological processes, to have the basic tools to conduct genome-scale genetic screens," said Alex Chenchik, Cellecta President & CEO. Alex continued, "We initiated the DECIPHER Project with the intent to create interest and make RNAi screening using pooled lentiviral shRNA libraries available for any researcher on a limited budget. Shared high quality validated shRNA libraries and optimized genetic screen protocols will help accomplish Cellecta's core mission to advance and speed up drug target discovery and development of novel therapeutics." More information is available from Cellecta (http://www.cellecta.com) or through the DECIPHER Project website (http://www.decipherproject.net). 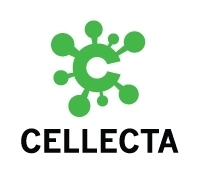 Cellecta is a privately owned contract research company that provides high-throughput (HT) RNAi-based genetic screening services for the discovery and functional characterization of novel therapeutic targets. Using their unique platform of lentiviral, shRNA, HT sequencing, and bioinformatics technologies, they offer shRNA library screening and analysis by HT sequencing, pooled lentiviral shRNA libraries, and stable reporter, overexpression, or knockdown cell lines. Cellecta's scientists have developed some of the most advanced technologies available, developed in collaboration with opinion leaders and with funding from eleven NIH SBIR grants. For more information, visit the Cellecta website, call 1-877-938-3910, or email us at info(at)cellecta(dot)com.